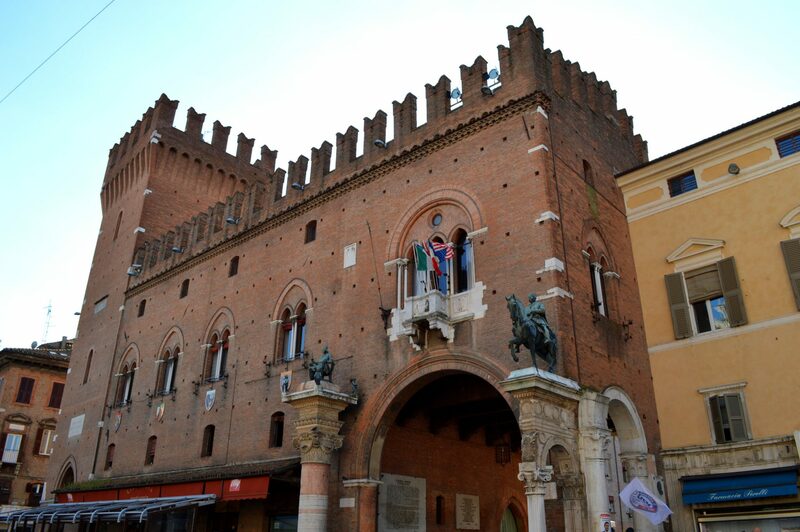 There are many reasons why you should visit Ferrara. Established by the Este dynasty, this UNESCO World Heritage site is a town of bicycles and imposing architecture suspended in time. 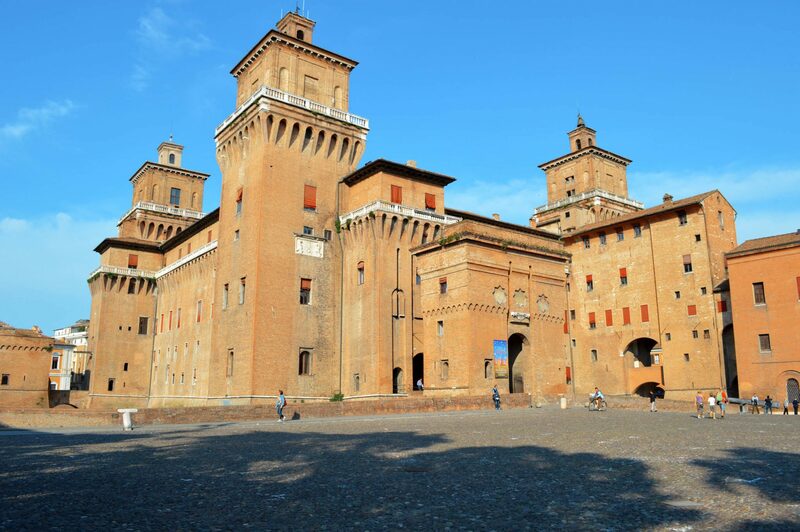 Among all the most important Italian cities, Ferrara it’s the only one that is not derived from an ancient Roman layout. Although it certainly has a thriving tourism industry, this city is not on the typical foreign tourist’s itinerary, which makes it perfect for those tourists who want to get off the beaten path of Venice-Florence-Rome and see some authentic northern Italian culture. 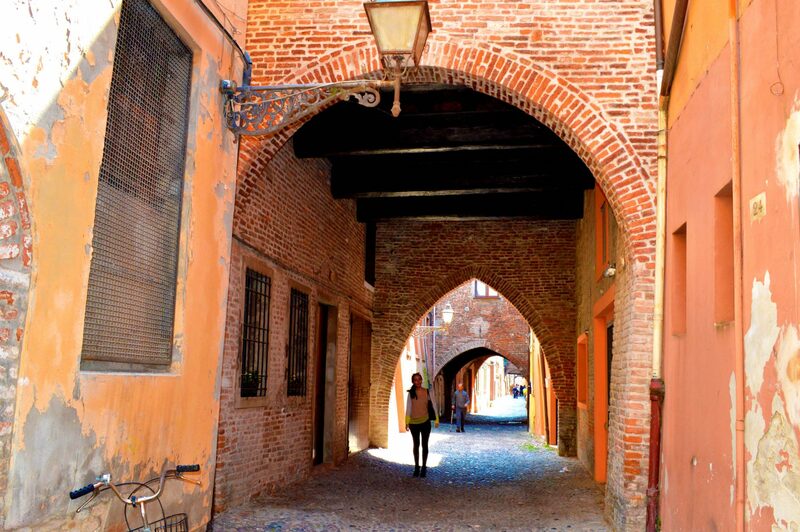 If you’re still not sure you want to add this city to your itinerary, then I can give you at least 5 reasons to visit Ferrara! This castle was commissioned by Nicolò II d’Este in 1385. It is actually the ONLY castle in Europe still surrounded by water. Initially it was intended to protect him and his family from the town’s irate citizenry, who were up in arms over tax increases, but in the late 15th century it became the family’s permanent residence. Although sections are now used as government offices, a few rooms, including the royal suites, are open for viewing. Named after the spiky diamond-shaped stones on its facade, the ‘diamond palace’ was built for Sigismondo d’Este late in the 15th century. According to legend, the builder placed a very large and expensive diamond in one of the diamond shaped bumps, for no reason. Yeah…right. As you walk around the building you will notice a lot of the diamonds broken off, so bring your hammer and don’t get caught! (just kidding). Via delle Volte is one of the best-preserved and longest surviving medieval streets in Europe. 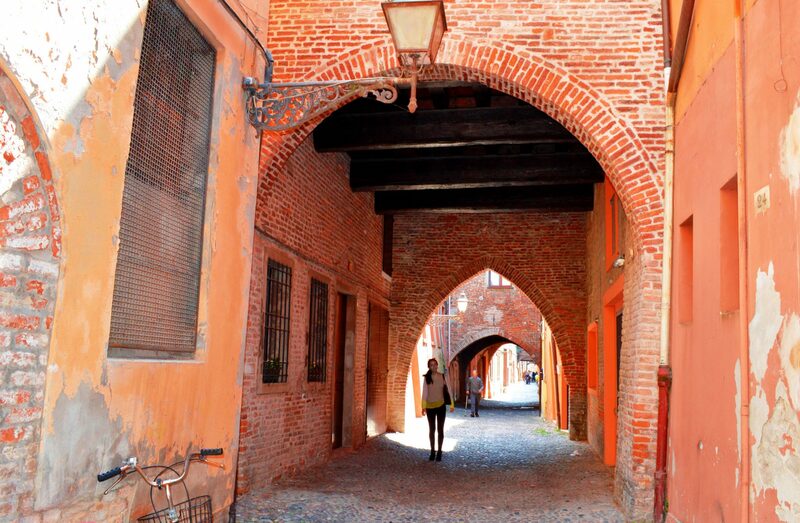 The series of ancient volte (arches) along the narrow cobblestone alley once joined the merchants’ houses on the south side of the street to their warehouses on the north side. 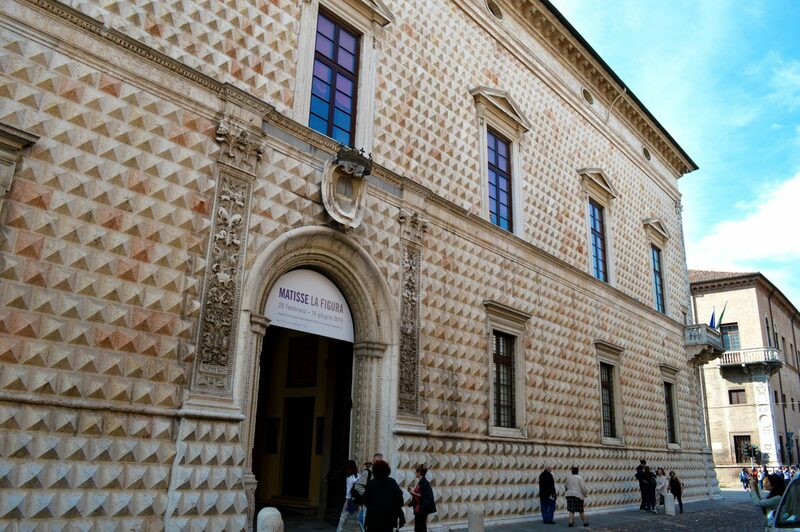 The outstanding feature of the pink-and-white 12th-century cathedral is its three-tiered marble facade. Much of the upper level is a graphic representation of The Last Judgment , and heaven and hell. On the other side of nearby Piazza Trento Trieste, the Museo della Cattedrale houses various artefacts from the cathedral. Linked to the castle by an elevated passageway, the 13th-century Palazzo Municipale was the Este family home until they moved next door to the castle in the late 15th century. Nowadays, it’s largely occupied by administrative offices but you can wander around its twin courtyards. The entrance is watched over by copper statues of Nicolò III and his less-wayward son Borso. 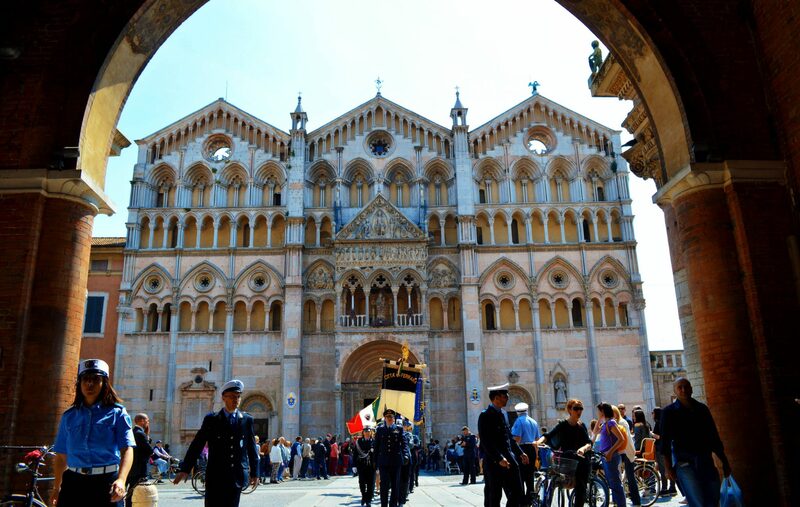 Have you ever visited Ferrara? Feel free to comment!